Naturally I was out shopping the other day. What else is new? This time around when I arrived at the mall, I made a beeline for Sephora. There wasn't anything specific that I was looking for, just something I could buy with the $25 gift card that has been burning a hole in my pocket since two Christmases ago. Of course once I got into my shopping mode, there was no way I was going to only spend $25 at Sephora; especially since that equates to on average one item. Originally this was going to be my Valentine's gift to myself as a #treatyoself type of thing; however I ended up shopping on Valentine's Day and purchasing drug store makeup. So be prepared for another makeup haul in the near future! Anyway, onto my Sephora purchases! Everyone and their mother raves about this. I'm going to be a bandwagoner here and have to agree. It does as it's supposed to and made my skin look nice and smooth. I struggle with dry skin on the apples of my cheeks and near my nose, but this still made those areas look great! It also has a pleasant smell. I ended up avoiding paying the price of this gem. The two mini tubes I have were actually gifts with purchase (because I made my bank account cry :')). Luckily, I've been able to try it and will probably invest in the full size in the future. I'm undecided about this product. It made my dark under eye circles look so much better, but wasn't particularly exceptional for spots. I'm too stuck in my ways and like the concealer I typically use. This wasn't by any means awful, but I don't think I'll repurchase it because I haven't found it to be worth the price. Surprisingly, I had never tried this foundation prior to a week ago... and I will probably not repurchase this. It did not work for my skin at all. I have combination skin, so normal in spots and dry in others. Despite having put moisturizer on before using this, the foundation clinged to the dry patches and did not look nice at all. It is lightweight, which is nice; however to get a decent coverage it has to be built up. My skin also erupted in spots on the dry patches, which I'd like to say was a coincidence, but I'm thinking it was due to this product. I have very sensitive skin, though, so just because it didn't work well for me, doesn't mean it wouldn't work well for you. On the bright side, this product kind of gave me a radiant glow! Coverage wise, this powder is ok-ish. It toned down the dewiness of the foundation; however it added this weird shine/highlighted quality to my face and white undertones (I'm thinking due to the SPF 24 in it). Plus, a couple hours in, it became splotchy. The main issue I had is that this powder was too powdery. It was quite blatant that I had powder on, which isn't abnormal when wearing any product, but this was too much. I wasn't particularly thrilled with this product. This is perfection in a package. Not only does this colour suit me sooo well, the quality of it is top notch. It brought the right amount of colour to my face. The slight shimmer was an added bonus. I honestly love this so much that I've been wearing it every single day since I've purchased it. If you've been contemplating buying this, do it. It is worth it!! NARS Note: What I can take from having tried a variety of NARS face products over this last week is that this brand is great for matching individuals' skin tones. That is something I was very impressed with. There was such a variety and there seemed to be something for everyone! I haven't actually tried this yet. I purchased this in 'light' for when I need it. Several months ago I had a dark brown demi-dye put in my hair, and as it's been fading back to my natural light honey brown colour, I've needed to alter my brow regime. This product is for when it gets back to my natural colour. I imagine it'll work well. The reviews are great. Currently I use e.l.f. 's brow kit, so I'm thinking it'll work as well if not better. Tweezers are also included in this kit, which I find quite handy! I'm hopeful for this! 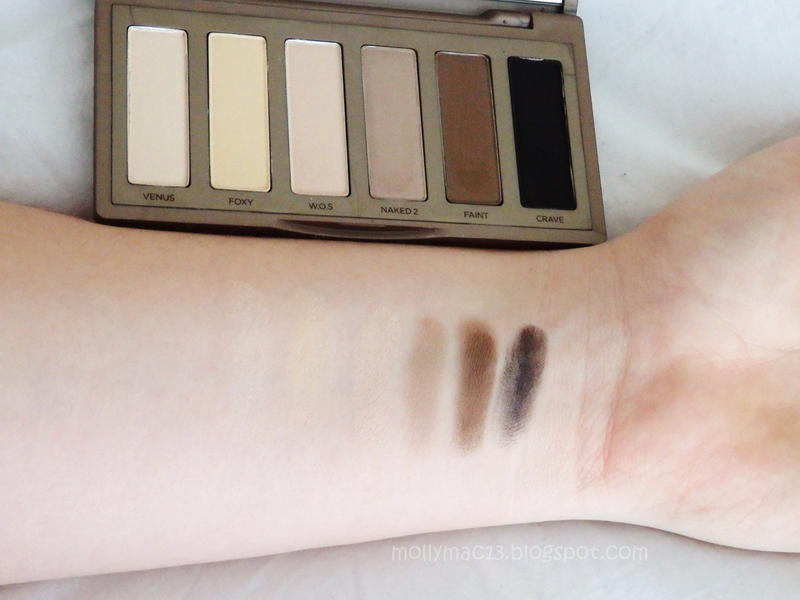 It's a truth universally acknowledged that the Naked palettes are fabulous. As a fan of the original, it made sense to buy the Basics one. It is the perfect size to throw in your bag if you need touch ups when you're out and about; though I don't think that's even necessary. This shadow is amazing quality and is stays put for hours. 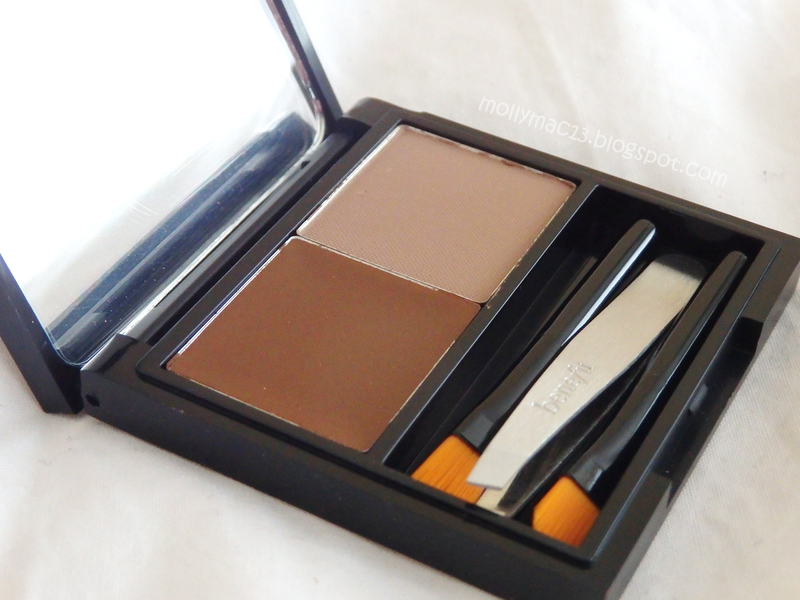 The colours included in this palette can make a lovely natural look or even a gorgeous smokey look. I recommend purchasing the Basics if you've never used any of Urban Decay's shadows since it's cheaper and gives you a great sense of the quality. If you'd like a proper review for any of these products, let me know and I'd be happy to put together a post dedicated to that one! Have you tried any of these products? If so, what are your thoughts on them? I just made my Instagram public the other day and am looking for bloggers to follow! Leave me your link! Mine is @molly_mac3! Just great products! 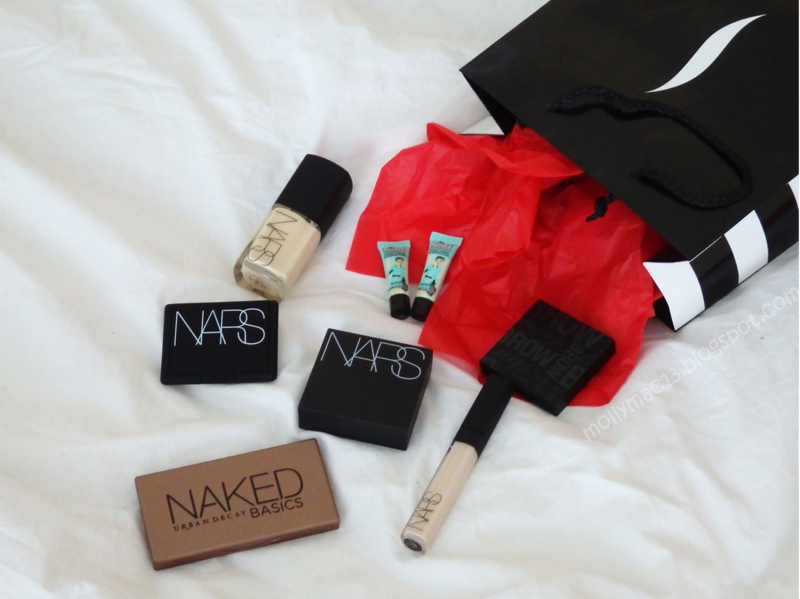 I really want to try that Nars foundation powder! How were you able to not use up that gift card for two years?! haha that's some real patience and I wish to have that kind of power. I have the benefit eyebrow kit and I like it. It gets the job done! You look so lovely, shame we don't have Sephora over here because I would love to go shopping there! 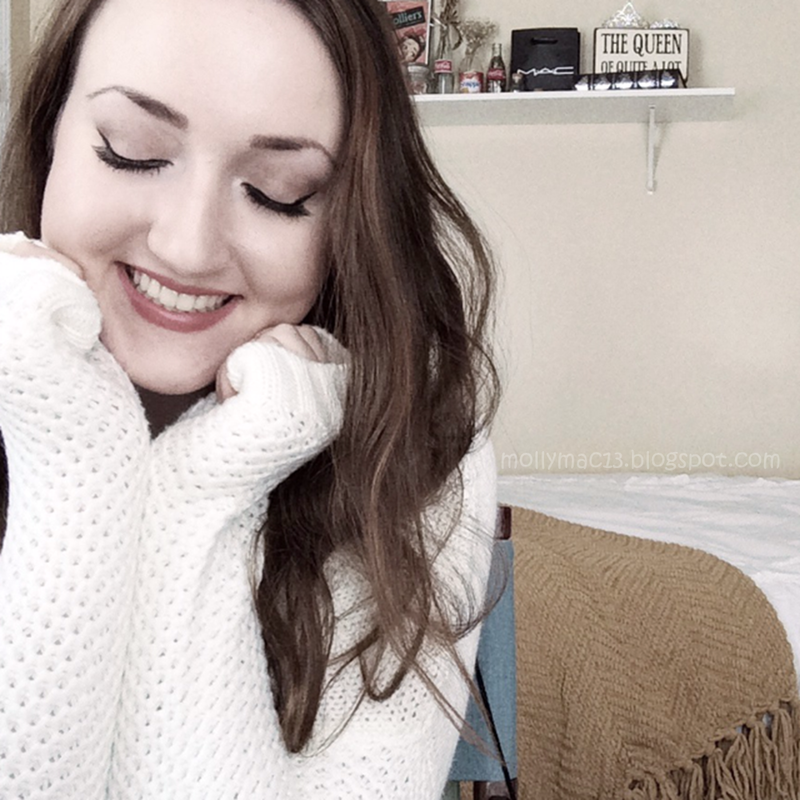 I've nominated you for the Sisterhood of World Bloggers Award! Check out all the details and questions on my blog! 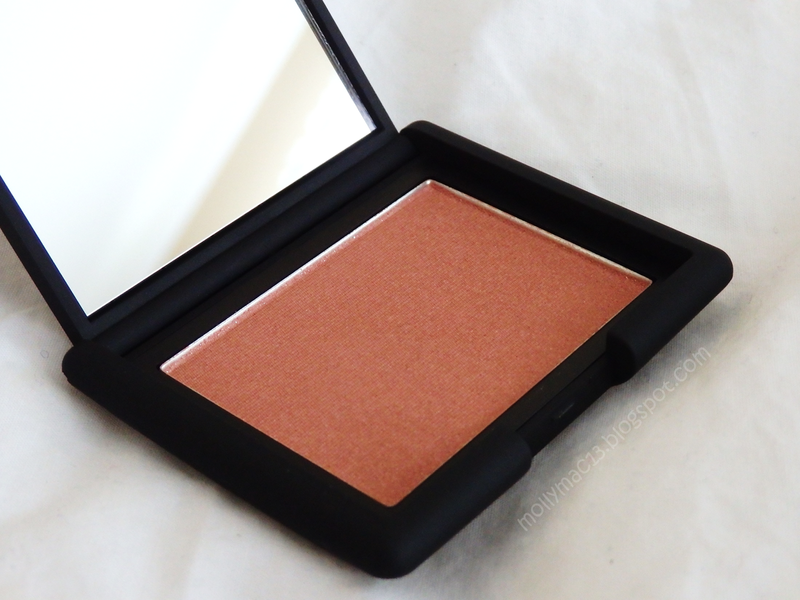 That Nars Blush looks so pretty! Benefit Porefessional is amazing! It's my favourite! What a great post! I nominated you for the Sisterhood of the World Bloggers Award Check it out and let me know if you write a post on it! You look lovely, I'd love to buy that Porefessional one! great haul! :) love nars so much! What an amazing haul! 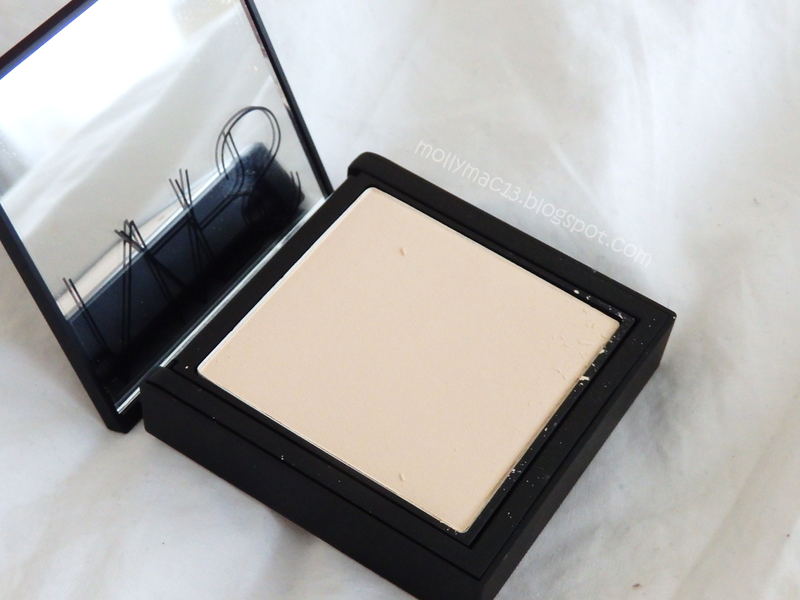 I would love to know a bit more about the powder foundation by Nars. I haven't had any luck with those kind of formulas and I would love to read a review about this one :) Kisses! Oh wow I've always wanted to go to sephora! Single on Valentine's Day; now what?